Author Kristina Cowan describes her own struggles with traumatic birth and postpartum depression, and weaves them together with the voices of parents, experts, and researchers. When Postpartum Packs a Punch, a new book from Praeclarus press, shows that while the U.S. has made strides in caring for new mothers, there is still much to do. Stories of mothers’ struggles with postpartum depression are an antidote for stigma, because they let mothers know that they are not alone. 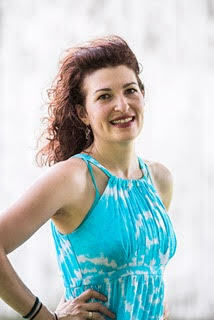 As a new mother, author Kristina Cowan was overwhelmed after experiencing a traumatic birth and postpartum depression. As a journalist, she wanted to use her story to help other mothers. In When Postpartum Packs a Punch, Cowan weaves together her story with those of other parents, and uses these stories as a balm to help heal and stir hope. The stories represent diverse backgrounds and perspectives that underscore the prevalence of mood disorders after childbirth. They also show how an overcoming spirit can fight terrors of the mind—and win. When Postpartum Packs a Punch offers solace to mothers who have experienced traumatic birth and perinatal mood disorders, as well as a chorus of different voices—parents, experts, and researchers. All are singing the same song: while the U.S. has made strides in caring for new mothers, there is still room for improvement. Stigma silences women, and blinds those on the sidelines. Stories of mothers’ struggles are an antidote for stigma, because they let mothers know that they are not alone. Kristina Cowan started writing when she was 5. Years later, she earned a master’s degree in journalism from Northwestern University, and these days she covers mental health and women’s issues. She lives in the Chicago area with her husband and two young children. When Postpartum Packs a Punch is her first book. Praeclarus Press is a small press founded by health psychologist, Dr. Kathleen Kendall-Tackett, focusing on women’s health. The mission of Praeclarus Press is to publish books that change people’s lives. Praeclarus Press is based in Amarillo, Texas. 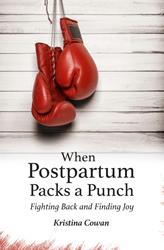 When Postpartum Packs a Punch is available at PraeclarusPress.com.